Re-authorization of the Elementary and Secondary Education Act is on its way to the Senate floor amid a growing movement to “opt out” of standardized testing tied for decades to ESEA funding. This month’s BUS program presents the latest on both stories: Rosalie Friend of SOS March analyzes the federal legislation with a focus on aspects of most concern to many advocacy groups. Denisha Jones and Lisa Rudley discuss the national Opt Out movement, particularly accusations that the effort is orchestrated by teachers unions. Federal ESEA/NCLB legislation was passed unanimously with a number of amendments by the Senate HELP (Health, Education, Labor, and Pensions) Committee on April 16. Denisha Jones, a regular BUS driver, is a teacher educator at Howard University active in many areas of educational advocacy. Lisa Rudley is a Westchester County (NY) parent of 3 children, ages 13, 12 and 9 and advocate for special needs children. She is co-founder of New York State Allies for Public Education (NYSAPE). organized by BadAss Teachers, United Opt Out, and SOS March. 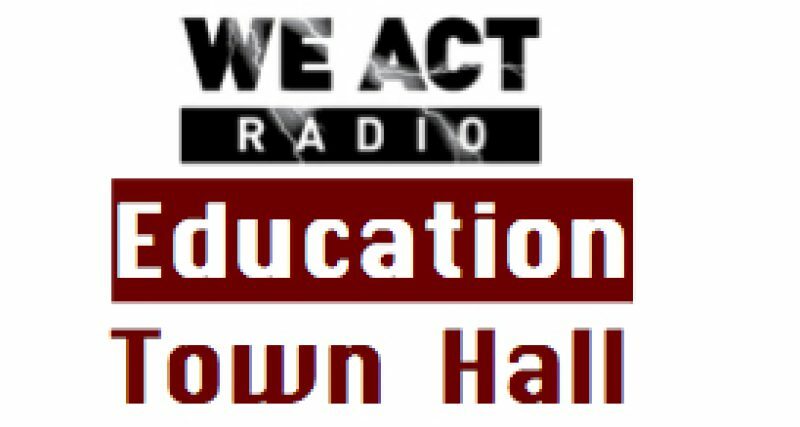 This special edition of the We Act Radio’s Education Town Hall regularly airs on the 4th Thursday of each month.